Bill B. noticed some cracks in the foundation walls of his Clarksville, TN home. Worried about the structural integrity of his property, he called Frontier Basement Systems for help. Upon inspection, the company's certified foundation repair technician detected a foundation settlement issue, which was causing the basement wall cracks. To fix that problem, steel piers were driven deep into the ground to a depth where the strata is compact enough to support the building structure. Braces attached to the piers were then used to lift the foundation and, as it was raised back into its original position, the cracks closed and disappeared. Bill is very happy with the results and the fact that he will never have to worry about his home's foundation again. His house is back on solid ground, for life. Frontier Basement Systems offers a full range of effective and permanent solutions for all types of foundation problems, and the company's commitment to providing outstanding customer service makes them the most trusted foundation repair company in Nashville, Clarksville, Bowling Green, Jackson, Murfreesboro, Antioch, Franklin, Owensboro, Hendersonville, Lebanon, Columbia and surrounding areas. Daniel S. from Franklin, TN had just finished his basement when it began to leak, ruining the insulation and wall finishes that were just installed. Having hired Frontier Basement Systems four previous times he knew that they were the right company to fix his basement. When asked for the top reasons to hire Frontier Basement Systems, here's what Daniel has to say: "Honesty, integrity, good work and they do what they say they gonna do -- and come up with a quality product!" Proper waterproofing of the crawl space makes all the difference in the comfort and health of a home. The crawl space in Mark S.' Mount Juliet, TN home had water pooling on the dirt floor, and a moisture and mold problem so significant that the musty smell from the crawl space was noticeable all through the house. After doing some research online, Mark decided to call Frontier Basement Systems for help. "We're very glad that we did because now that we got through this it is so much better! It smells better, it is cleaner.." -- says Mark, also adding that he noticed a significant reduction in his utility costs after the crawl space was treated and encapsulated. "The crew that came out were very meticulous about what they were doing, they were all about the business to get it done and did a good job. I was very impressed with that." -- he explains. Mark is so impressed with the entire experience and so happy with the results that he recommended us to a neighbor with similar problems, and says that if he ever builds another house, he will call Frontier Basement Systems again to get the basement or crawl space taken care of. After building their 11th house, Jim P. from Mount Juliet, TN and his wife wanted to protect their investment by avoiding future problems in the crawl space. They called Frontier Basement Systems for help. The company sealed and insulated the area and, besides being very happy with the service and attention they received they are even happier with the results! Not only the foundation is permanently protected against humidity, mold, dry rot and structural damages but their entire home is more energy efficient! "For a house as big as our house is, the utility bills are extremely low! We are very very pleased with our utility bills!" says Jim. "We chose Frontier and we are very very happy we did!" Bob B. has been living in his Russellville, KY home for many years and as time went by, a combination of the changing climate and new building developments in the area turned his basement into a flood-prone nightmare. He found himself losing sleep every time the weather forecast predicted three or more inches of rain because he knew he would wake up to a wet basement. After going through several severe flooding situations where his existing sump pumps just couldn't handle the amount of water pouring in, he decided to call for help. Through doing some research online, Bob found Frontier Basement Systems and decided this was the right company for the job. Frontier Basement Systems came right away and immediately began to fix the drainage problems that were causing his basement to leak. They made corrections to the discharge line, improving drainage by installing a full perimeter WaterGuard interior drainage system and a TripleSafe sump pump system to handle any amount of water that would come in. Bob's basement is now dry and hasn't flooded since. No matter how much precipitation is in the forecast, he can sleep having the peace of mind of knowing that his basement is protected. In fact, he is so happy that he is now recommending Frontier Basement Systems to his family, friends, congregation and neighbors. "We know that my house is worth something now, instead of being a house that is just worthless," he said. Mr Faoro talks about his crawl space encapsulation. A builder flaw left his crawl space wet after every rain. He tried a french drain but that didn't solve the problem. Frontier Basement Systems did an inspection and offered a permanent solution. After installing proper drainage system with sump pump and dehumidifier the crawl space is dry and the floors are a lot warmer. Hear what Leslee has to say about the solutions Frontier Basement Systems was able to provide regarding the Moisture in the basement.Visual with computer plansOn time!Great with QuestionsI'm nosy, its my house. I'm hearing them do stuff, I want to know what is going on. Buddy H.'s home in Madison, TN had serious moisture issues. Doord were sticking, windows wouldn't open and the air indoors was so humid, it was hard to breathe. As a savvy homeowner, Buddy began to research online looking for solutions and he located several companies said to specialize in moisture control. After having a few of them coming in for an inspection, Buddy chose Frontier Basement Systems for the job. " I chose Frontier Basement Systems because they were the most professional and most knowledgeable" He was very impressed with the system design specialist who came to inspect the home. "He crawled all under the house, he took pictures, and he showed me exactly what my problem was, and he told me exactly what I needed to do to fix." The crew that came in also impressed him with their friendliness and courtesy, delivering the job on time an cleaning up after themselves. "I could not be more happy with the workmanship" - says Buddy. "We have a recording studio in our home and we host singers on a daily basis, and the singers have commented on how much easier they can breathe. Our air is dry and clean, our home smells clean, our business is doing very well because of the atmosphere that has been created by the work done by Frontier Basement Systems" -.- he explains. From planning vacations around the forecast and sleeping with an old sump pump to a beautiful basement! Local Nashville resident Melissa C. had been experiencing basement water problems for quite some time until just recently, when she had her basement fully waterproofed by Frontier Basement Systems. From the first visit, when the system design specialist inspected her basement, she was fully confident that Frontier Basement Systems would deliver what they promised. A detailed and thorough examination by the design specialist provided her with explanations to the causes of the basement water problems, and also presented her with all the different options available to solve them, She was also pleasantly surprised by the professionalism, punctuality, care, and respect demonstrated by every member of the production crew, who not only started and finished the job on time and in a clean, and orderly manner, but cleaned up after themselves as well. Melissa is incredibly happy with the results, and she knows that, thanks to Frontier Basement Systems, she will never have to worry about a wet basement again. Good job Dean. I’ve never been so happy about a system in my entire life! 100 year old home in College Grove Tennessee needed some love. The dirt basement was not very welcoming or friendly. Unsure how long the previous sump pump and dehumidifier had been in the space neither were functioning. Frontier Basement Systems encapsulated the basement and added a new sump pump and dehumidifier. The crawl space under the add-on section of home was also encapsulated, protecting the wood floors from warping, sagging, and other moisture related issues. Energy efficient and clean. Basement is now accessible and great for extra storage space. A few months ago, Tom T. and his wife discovered that their home had a tremendous water problem in the basement and they called Frontier Basement Systems to help. Tom is very satisfied with the work done and is confident that his basement will now stay dry… all the time! 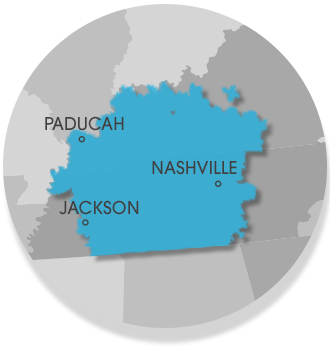 Frontier Basement Systems is the premier basement waterproofing company in Nashville, TN, and also serves Madisonville, KY and surrounding towns. Kathy was having trouble with foundation settlement causing structural defects. Windows were beginning to collapse, they wouldn't open and close, trim was pulling away. Brick was breaking showing fracture lines from the stress. The structural beam cross garage door did not extend far enough to support the load of the structure above. 3 years later, Frontier had a solution and followed up with Kathy to share. The original concerns had gotten worse and she was more than excited to get this fixed! I was so happy with Eric and Angela. On a scale of 1-10. (1 Being worst experience and 10 being the best experience.) I give Eric and Angela an 11! If all of your employees are like Angela and Eric you are very lucky! THE WORKERS WERE GREAT AND THE OFFICE STAFF WAS GREAT TO. The foreman was very good at explaining things. Everything was excellent! Rep was great, friendly, informative, everything Frontier would want in a rep. I loved the entire experience! Very pleased with the work. Cleanup was excellent and the crew/foreman was very courteous. Aaron was very professional and courteous as well. Gumaro & Crew did an excellent job! Finished the project and we are very very happy. We can already tell a big differnece in the overall saftey of the home. Frontier did an awesome job working with me on the perfect basement waterproofing system for my house. From the site survey and system options to the installation of the actual system (a combination of WaterGuard and DryTrak), their team of experts performed at a professional level throughout. Even after the terms of the contract were settled and Santos (and crew) were installing the system, an issue was identified early during floor demolition and the installation team notified me immediately. With some minor system modifications and installation techniques, they were back in business with the install and still managed to complete the job within their estimated 2.5 days. I was highly impressed with their pattented water proofing systems, their knowledgeable sales professional, and their experienced installation team. Overall, I would rate Frontier Basement Systems a 5 out of 5 stars!!! GREAT JOB GUYS!!! The crew was hard working and the foreman was very knowledgeable about the work he was doing. They kept the work area as clean as possible during the whole operation. the crew did an excellent job with the clean up and bent over backwards to please the customer the way the foundation was supported with the piers. the warranty on the work done and being associated with a major foundation repair company. They stand by what they do and say! The job was completed in a timely manner. Crew cleaned up when finished. Crew was very polite and respectful. The floor was very smooth. Transition was very neat.